I came to the work of celebrancy on a long road. 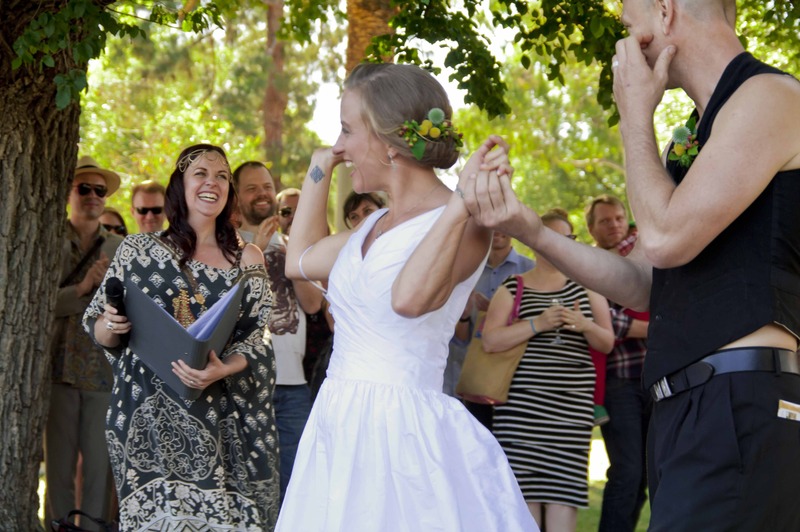 Singing at hundreds of wedding ceremonies with my husband Ryan in our jazz duo, I had an opportunity to view the wedding ceremony from every angle. Fascinated, I began to take notes, and soon realised I was called to do this work, and do it well. As my research and learning unfolded, I saw the connection among the various passions of my life: attending to birthing women and their families, understanding more about the dying process and how to honour and respect that; the deep sense of comfort I experienced in small rituals (annual gatherings, community events, religious ceremonies, and the weddings and funerals I attended or worked at). When there was an authentic and warm person conducting these events, I noticed how profoundly people were affected, in a positive way. 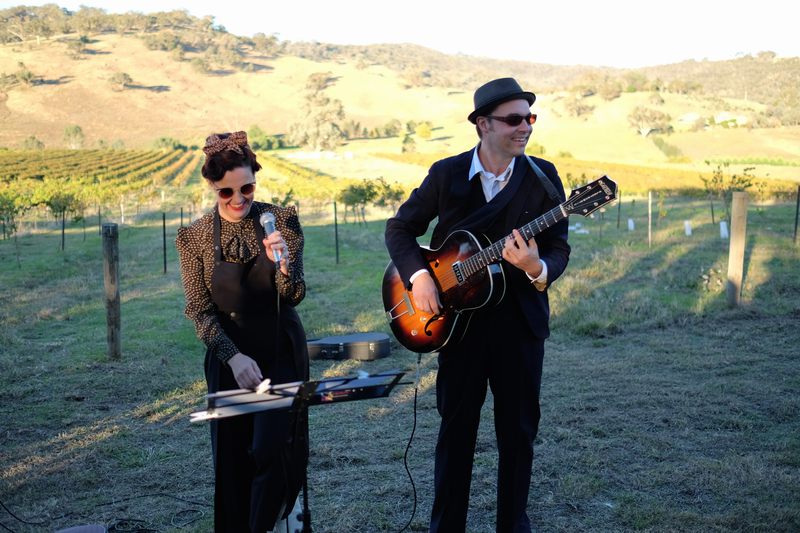 My husband Ryan and I perform jazz at a gorgeous country wedding. Modern rituals are something of a passion for me. I have researched dozens of rituals ancient and modern, and also happily create new ceremonies that suit unique situations. I believe a ceremony must reflect the community it is meant for. Sometimes that means it doesn’t feel much like a ceremony at all. It’s a gathering. Other people connect to very specific symbols or elements. I live amongst the trees in Hurstbridge, Victoria and have three lively little children. I also manage my own music business. Travel is my passion and I love taking the family to far flung places. 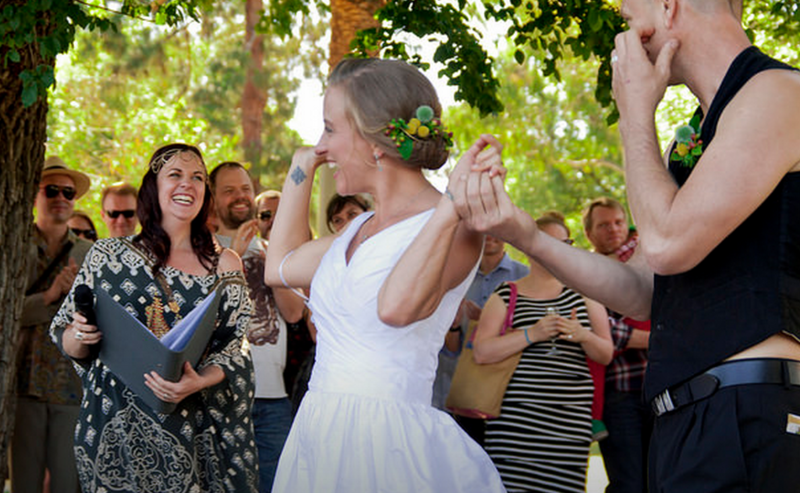 My husband Ryan and I married in 2006 and have been together almost 20 years.